My smart phone is used for both business and personal tasks, so it’s important for me to keep it updated to the latest release of the Operating System to ensure that security is kept current, plus it’s plain fun to have something new and shiny to use. 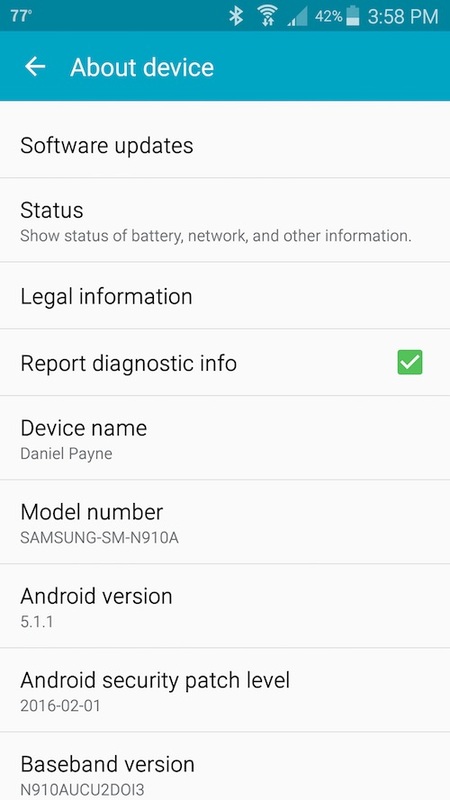 AT&T is my wireless carrier and the Samsung Galaxy Note 4 is my phone, so today I received a message from AT&T that their Android 5.1.1 version was all ready to be installed. I basically read the dialog and clicked the Continue button, quite simple. The whole process took maybe 12 minutes or so, because after installation it has to optimize each App, and my phone has 81 Apps. In the end I can click on Settings> About device and see that Android is now at the 5.1.1 version. Your carrier probably has a very similar scenario to follow for upgrading the Android OS, and even Apple devices are quite easy to update the OS with. Before updating make sure that you have at least 25% battery life, because the last thing that you want to happen is for an update to be interrupted by your device turning off unexpectedly in the middle of the process, something that could leave you with a brick for a phone.